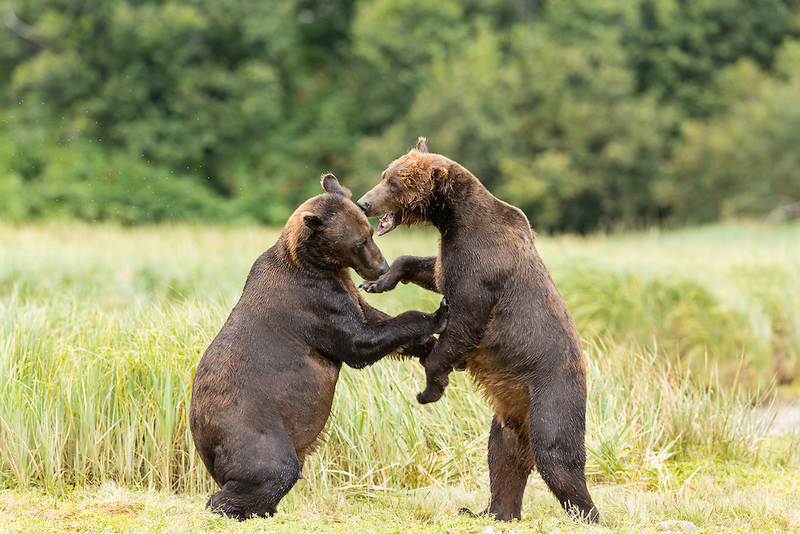 Male brown bears (Ursus arctos) fight for dominance to fish for salmon along Geographic Creek at Geographic Harbor in Katmai National Park in Southwestern Alaska. Summer. Afternoon.